Ms. Dyana Kenney is a seasoned professional with over 20 years of diversified experience in the commercial real estate industry. Ms. Kenney specializes in office leasing, but is well versed in industrial and retail product types, as well as investment sales. By utilizing her diverse background in management, development and the implementation of marketing strategies, she creates true value for any asset. Ms. Kenney also specializes in tenant representation services to small, mid and large-cap corporations, law firms, financial institutions and industrial occupiers. Throughout her career, Ms. Kenney has represented a prestigious list of clients and tenants include Flagler Development, LFC Development, HDG Mansur, Intercontinental Real Estate, Southern Management & Development, Massachusetts Mutual Life Insurance Company, BBC International, GEICO Insurance, The Athlete’s Foot, AirLiance Materials, and Citi-Financial as well as many other legal, medical and professional firms. 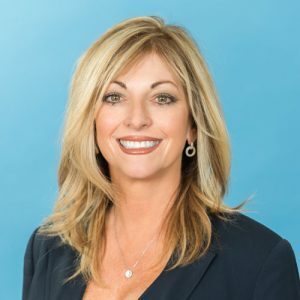 Her industry experience includes roles with prominent developers and brokerages including Flagler Real Estate Services, Grubb and Ellis and Peterson Properties. She holds a Florida Real Estate Broker’s License and is a designated Real Property Administrator (RPA).